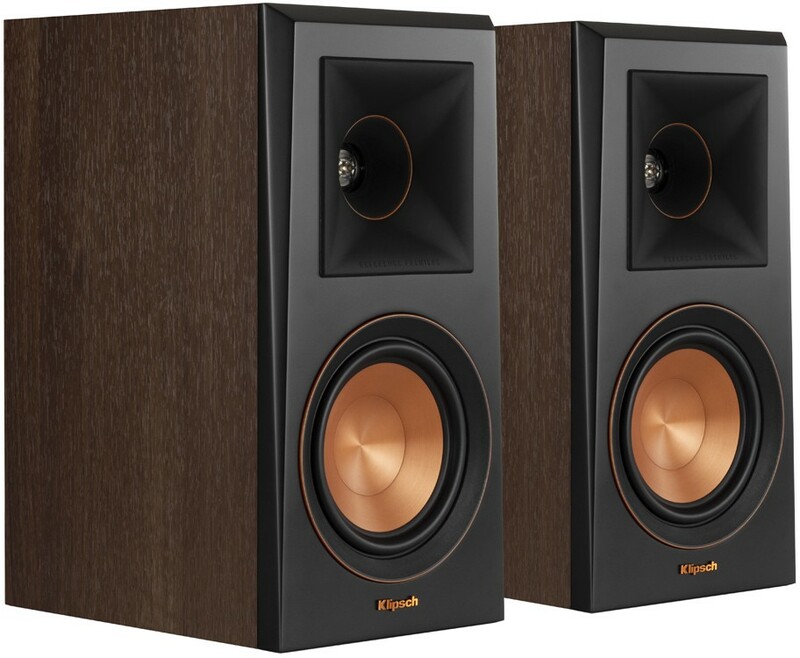 Klipsch RP-500M is the mid-level bookshelf speaker model in Klipsch's Reference Priemere range sitting below the larger RP-600M. 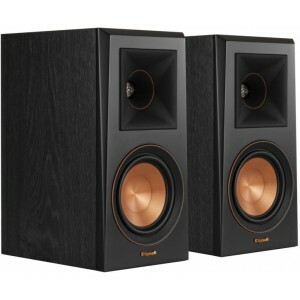 Klipsch RP-500M Speaker delivers incredible cinema-quality stereo sound. 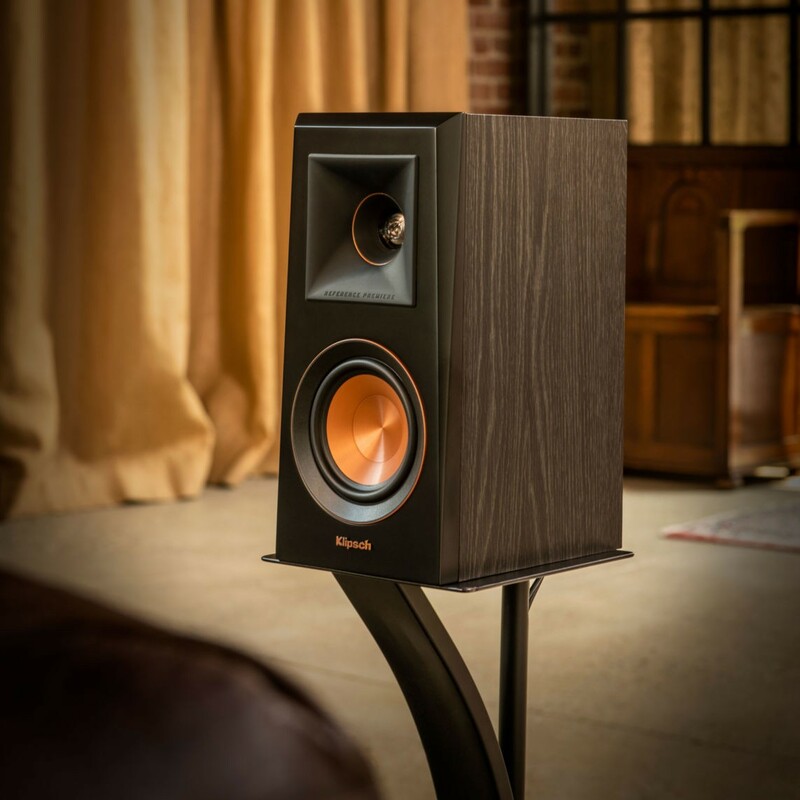 Klipsch proprietary technology is built on over 70 years of acoustic experience to deliver the best home theatre experience possible. A signature feature on the Reference Premiere series, spun copper cerametallic woofers are exceptionally rigid and lightweight for minimal distortion and maximum efficiency. When paired with the Tractrix horn-loaded LTS tweeter, it provides the highest speaker efficiency in its class. 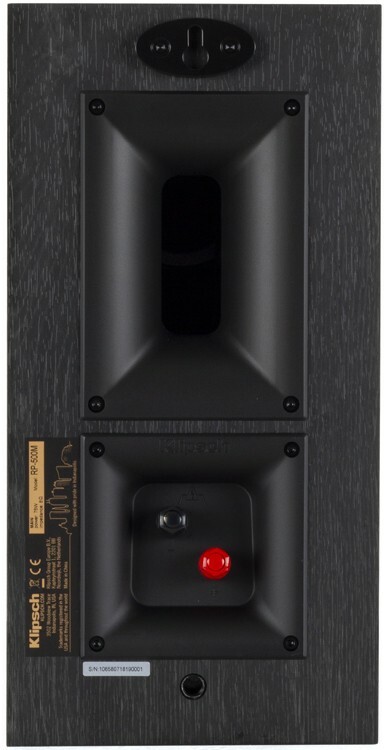 Utilising Tractrix geometry, the Reference Premiere ports allow for the most efficient, fastest air transfer from the cabinet, which reduces port noise for punchier low frequencies. Klipsch Tractrix ports have custom designed inner flares that help reduce air turbulence entering the port. Less turbulent air helps reduce port noise for cleaner, more powerful bass. Single 5-way screw terminals accept banana plugs or bare wire up to 12-gauge for flexible, lasting connections while the vibrant colour coding provides easy set-up and connection. Finishes available are ebony or walnut vinyl which boast satin painted baffles with a scratch resistant finish. The strong, flexible and detachable grille attaches magnetically for an elegant transition from powerful showstopper to a discrete performance piece. Copper anodised trim rings, cast aluminium feet, satin painted baffles and a laser etched logo treatment give the Reference Premiere II series a modern, premium look.